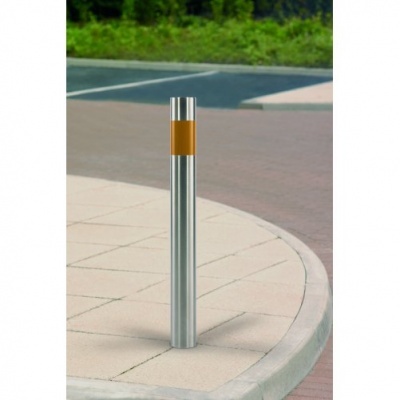 Marshalls Rhino RS/150 root fixed stainless steel bollard with a 1000mm height above ground and features a standard 114mm diameter. While stainless steel may be polished, it does not meet Class 2 reflectiveness levels – unless it’s a Rhino RS 150 bollard. That’s because it comes complete with a 150mm reflective yellow hazard band, making it ideal in situations where safety is as big a consideration as the part it plays in creating a better landscape. 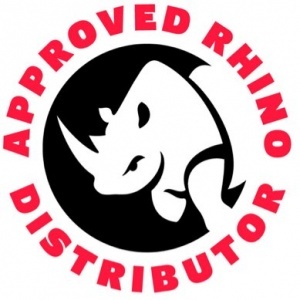 It also comes complete with the peace of mind that Marshall’s high quality standards, free delivery and a comprehensive guarantee of 12 months. 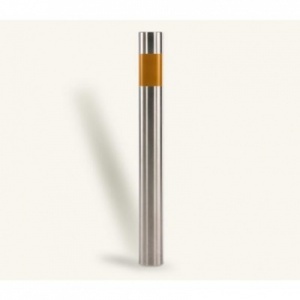 A stainless steel bollard that’s clearly seen to be safe: the Rhino RS 150. 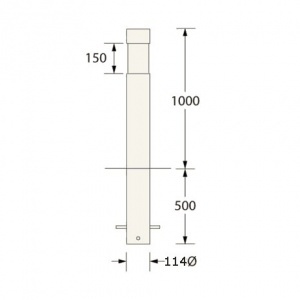 Rhino RS 150 security posts are brushed stainless steel satin finish as standard.